A lot of you crack flashers (like I used to be) may read this article in disgust or disagree with me on many different levels. My name is Dave and I’m a recovering crack flashing addict (this is where you say, HI DAVE!). Crack flashing ended for me about a year ago when Jelly Bean 4.1 started dropping on most high end devices. Don’t get me wrong! Once there’s a stable CyanogenMod ROM, I get it on my device ASAP. Maybe it’s because I’m getting older (36), or sick of setting up my devices 10 times a week (I understand there’s tools to do this, but I don’t entirely trust them) or maybe I’m just content with CyanogenMod 10.1, Android version 4.2.2 (or until cm 10.2 is stable) and the brilliance that Jelly Bean has brought to our devices. Let’s rewind here a couple years when most devices were running Froyo (2.2) and even Gingerbread (2.3). I had gotten the original HTC Evo 4g and it was the greatest thing since sliced bread. It was a HUGE phone for its time, Sense and the animations were absolutely mind blowing, the Android Market was like nothing I’d experienced before on a flip phone and it’s the device that gave me my first taste of Android addiction. I can remember checking Android blogs hourly to see when Froyo would be hitting my new found friend. Then one day I saw somebody mention a site by the name of XDA. This is where my crack flashing had started. People had Netflix running on their Evo’s before it was on the market, others had WiFi tethering their WiMax connection, there was even a Hulu fix that was flash able and themes coming out the ying yang with a really slimmed down Sense experience. The icing on the cake was a thread by the name of Steve Kondik that had this thing called CyanogenMod 6 & 7. When I hopped in there, it was over for me. I had a phone with a really clunky Sense experience and had the opportunity to have a near Nexus One experience instead. This is where the ROM crack pipe got most of it’s use. 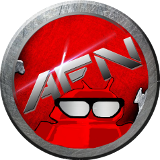 CyanogenMod had become so popular that themes were coming out for it daily and they had to be flashed (there was no theme manager at the time), nightlies were starting to be dropped regularly and a whole slew of other flash able zips that made the whole custom ROM experience exciting. It was like having a new phone everyday. Hell! Even going back and forth from Sense to CyanogenMod to get a fast GPS lock was even exciting and I hardly use GPS. I had to flash something or my day didn’t feel complete. Now let’s fast forward to 2012 when Jelly Bean 4.1, CM 10 and Google Play officially hit the scene. Google did it right with Jelly Bean and the Google Apps updates. There were no longer fixes that need to be flashed. Google Now was and is still a mind blowing feature that I use on a regular basis. Siri what? CyanogenMod 10 dropped shortly after the Nexus 7 and I realized right then and there my days of constantly doing backups, putting zips on my SD card and setting my devices up weekly were a thing of the past. Everything on Jelly Bean works and works well. Now let’s fast forward to today. When I get a device, I find the most stable CyanogenMod 10 version available and stick with it until the next Android version drops and that one is stable. I know longer care about my status bar being the most unique, and if I’m feeling frisky that day I’ll grab a cm theme of the market and apply it through the theme manager engine that comes cooked in all CyanogenMod builds these days. CyanogenMod has more than enough fun packed features with in the ROM with out it being a 1 gig sized file. These guys are the Real Deal Holyfield in firmware land. IMO they deserve their own phone and I’d be first in line to grab one. That would totally eliminate any of my flashing period. They look at CyanogenMod as a job, and like the experts they are, they take their jobs seriously and consistently put out great products. Trebuchet, Appolo, Focal, Theme Manager, WiFi tethering and so much more are executed to perfection. Is everything perfect? Nothing is! Especially OEM crap. My Kondik! If you’re reading this, I hope by the time Key Lime Pie (Android Version 5) comes out, you and your team have your own phone. I realize us Android geeks are the minority in this world, but we wouldn’t be the only ones buying your phone. You can believe that! I also realize I’m a dopey chef and an Android blogger, but if I you guys care what I have to say about picking the company to make the CyanogenMod phone…. HTC FTW! Let me know what you guys and gals think. 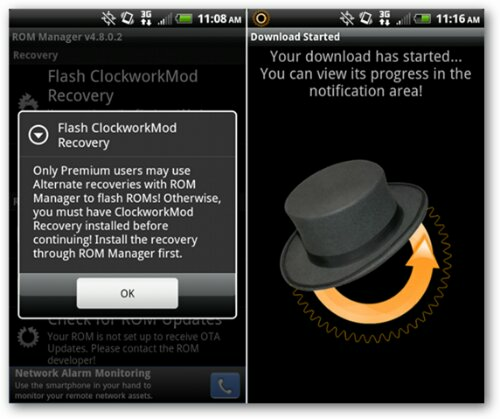 Are you still crack flashers or has Jelly Bean and CyanogenMod become your methadone program? This entry was posted in News, Random, Rants & Opinions and tagged Addicts, android, CM 10, Crack Flashing, cyanogenmod, jellybean. Bookmark the permalink.